The host of Travel Channel's #1 rated series Ghost Adventures is giving everyone a chance to experience the spine-chilling vibe of the spirit world. Reality star and New York Times best-selling author Zak Bagans has turned a historic downtown Las Vegas mansion into a mecca of the macabre - a haunted museum. This guided tour lasts approximately 1.5 hours, provided by professional tour guides who have been trained by Zak Bagans himself. Whether you're a local or are visiting Las Vegas, this museum of haunted artifacts and oddities is a must-see! 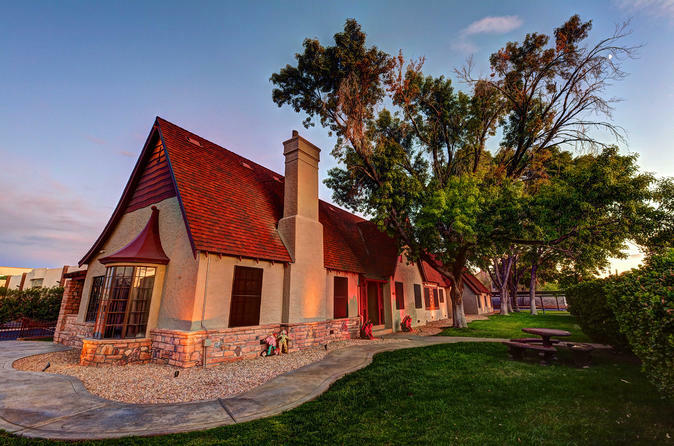 Located in the historic Wengert Mansion in Downtown Las Vegas these tours lasts approximately 1.5 hours and are led by professional tour guides who have conducted extensive research and received training by Zak Bagans himself. The 11,000-square foot property, built in 1938, is located near South Las Vegas Boulevard and was originally owned by Cyril S. Wengert, a prominent businessman. Through the years, hostile spirits have been rumored to roam the halls terrorizing past occupants, family members who passed away there whose energy remains. Long-time Las Vegans even claim dark rituals took place in the home’s basement during the 1970’s. Paranormal enthusiasts visiting Zak Bagans' The Haunted Museum will venture down creepy winding hallways and secret passages into more than 30 rooms that rival scenes from Hollywood horror films, setting the stage for frightening facts about each paranormal piece such as the Dybbuk Box known as the world's most haunted object. Museum-goers can even peek inside the VW death van in which Dr. Jack Kevorkian ended the suffering of terminally-ill patients as well as get a close-up look at the “Propofol chair” from Michael Jackson’s death room. Perhaps most unsettling, the original staircase from Indiana’s “Demon House,” notorious for powerful paranormal activity before being demolished in 2014. The wooden banister and creaky steps now stand in a dimly-lit corner, resting on a blanket of dirt from the location.